of the softphone, dial the number and click on ‘Call’. the softphone always on 3CXphone mode. The softphone allows you to easily transfer calls to other users or external numbers using either [Transfer] or [Attended Transfer]. With a Transfer, the call is transferred to the new party without an introduction. 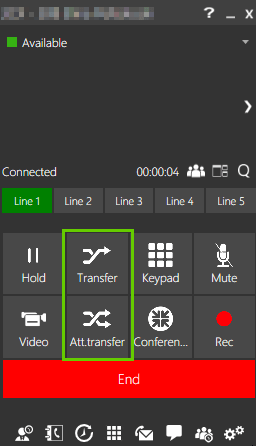 With the Attended Transfer, the call can be introduced before transferring. caller is put on hold while the second call is made on Line 2. In the extended presence, first make sure you are in the correct view [Receptionist] from the top left corner. 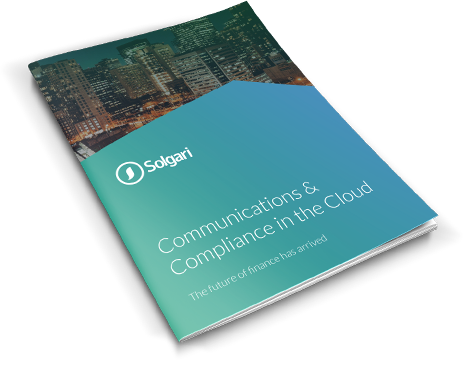 Voicemails can be handled in different ways with the Solgari system. 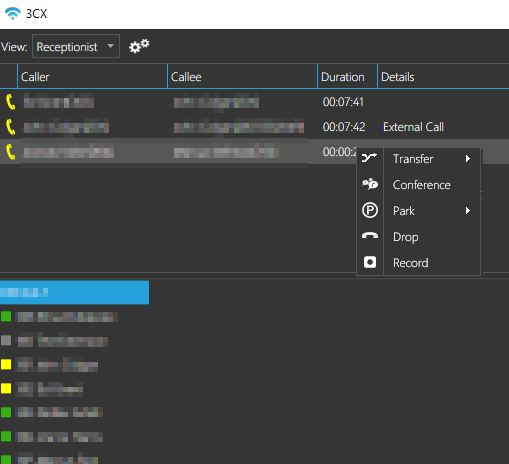 If your voicemails are stored in the cloud, they can be retrieved through the softphone, voicemails might also be emailed to you as attachments. The following applies for users whose voicemails are saved in the cloud. 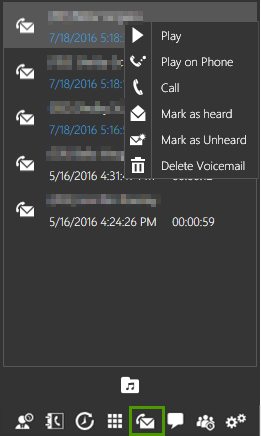 If there are unheard voicemails, the voicemail icon, highlighted below, will turn blue on softphone dial screen. once you pickup, the voicemail will be played. 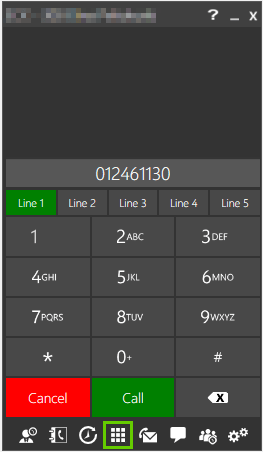 If the PIN number is entered three times incorrectly, the voicemail will lock down for five minutes. With the Solgari system you can record different voicemail greetings for different scenarios. 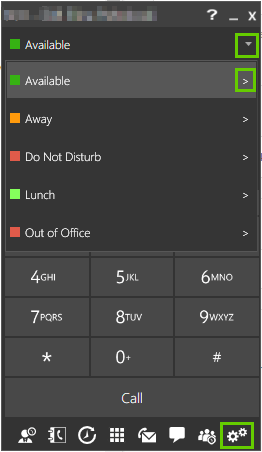 For example, one voicemail greeting for when the extension is busy and another for out-of-office situations. to your extension are handled when you can’t answer. 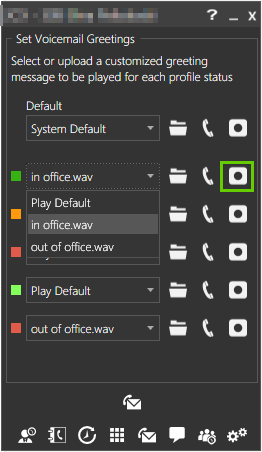 Settings -> Call Forwarding, icons highlighted. 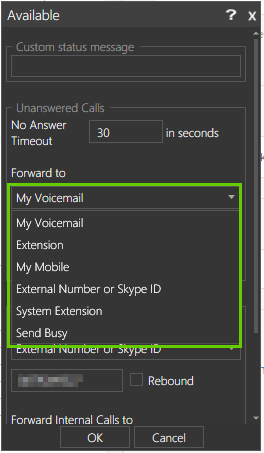 These settings are only applied to calls directly to your own extension, as opposed to calls that land in a ring group or a queue that you are a member of. 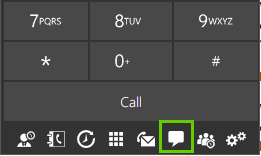 If you choose to forward calls to an external number when busy, there is a [Rebound] option which means that, the receiver of the call will be notified of it, and will be given the option to take the call or to direct it to voicemail. 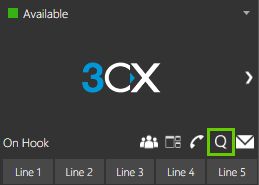 Under the options for status “Available”, you can choose to [Accept multiple calls] which means that while you are in a call, new calls will go to lines 2, 3, 4 etc. and you can switch between. For the [Also Ring My mobile] option to work, your mobile number needs to be attached to your extension. Contact the Solgari Support Team if a number should be added. Fill in the fields and conference time as needed. will be included on the invite sent to all participants. needs to be added to [Conference DID number] field. 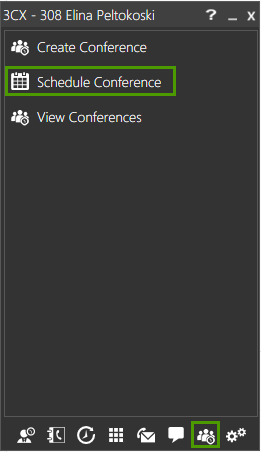 [View Conferences] on the Conference tab. 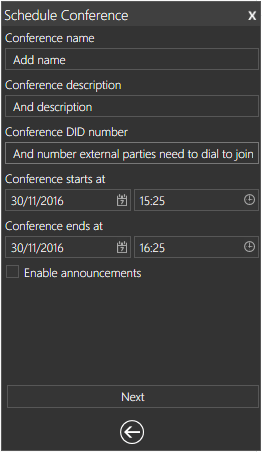 A normal call can be elevated to a conference call very easily. 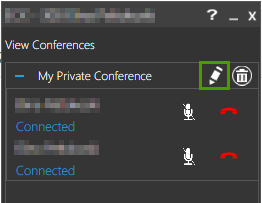 Add more people to the call by clicking on the Pen icon. 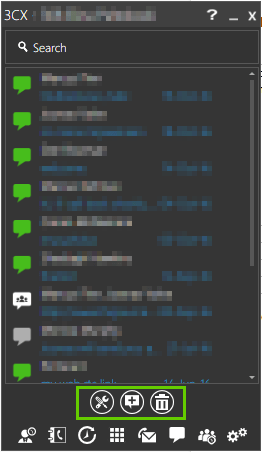 [Add Number] to add in external participants. 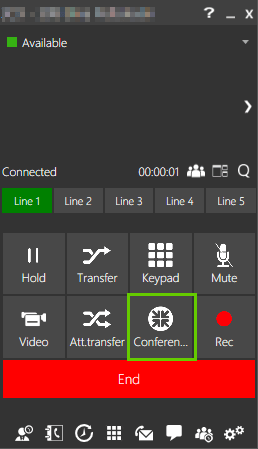 receive a call from the conference place.Once they answer, they’ll be added to the conference call. 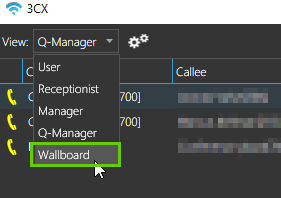 Go to ‘Q-Manager’ view and click on the relevant queue. 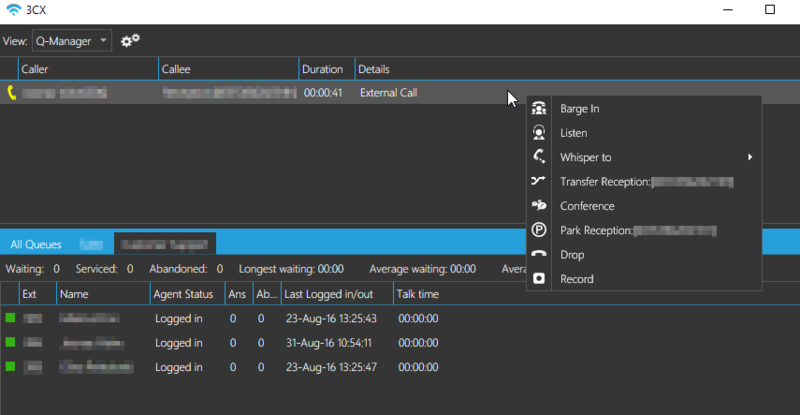 manage on going calls through the Q-Manager view. 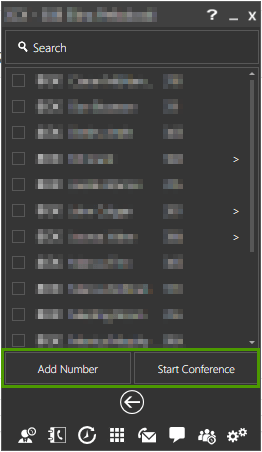 by clicking on the highlighted icon. 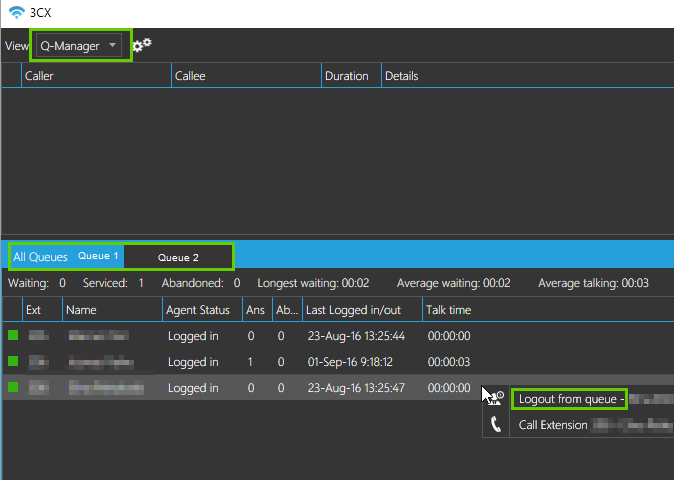 Depending on the rights given for your extension, you can see which agents are logged in for each queue, along with their status and statistics such as calls answered, last log in/out and total talk time. Queue managers will be able to log agents in and out of the queue by right clicking on the agent. 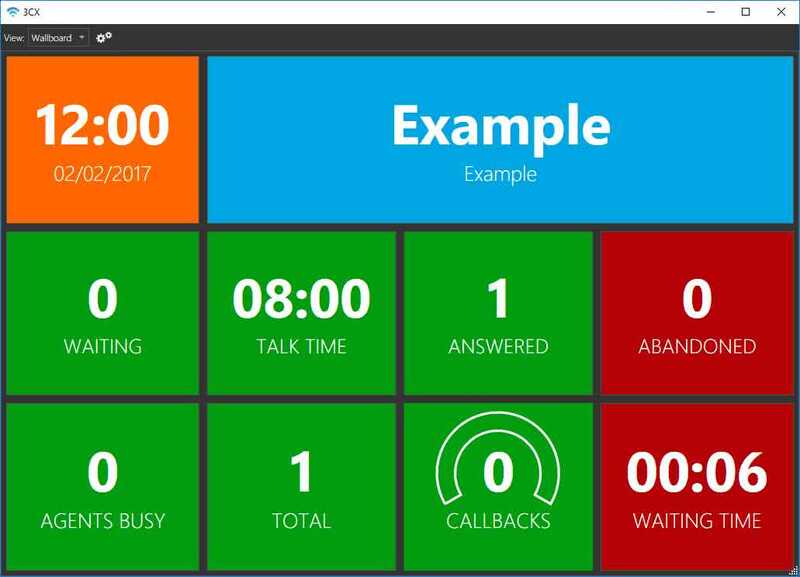 You can also see overall statistics for all your queues such as calls in waiting, serviced or abandoned, longest and average waiting time, and average talking. menu on the top left corner. you are either a member or manager of. 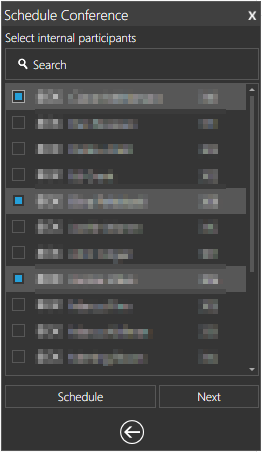 to the drop down menu, icon highlighted. 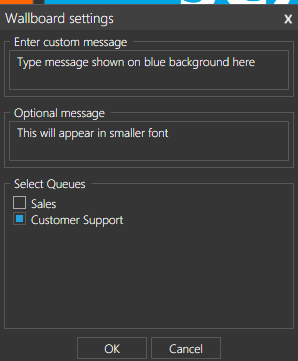 queues details are shown under the ‘Select Queues’ section. underneath the custom message, example below. See below the different installation file links for the softphone depending on device used. 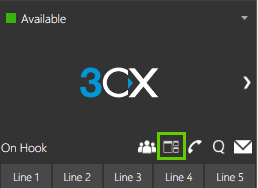 3CX v12 softphone for mobile is unfortunately not available anymore. If you require the softphone app on your mobile – please contact Solgari Support. Users with MacOS Sierra, please use the below download link. See below softphone download links for different installation files depending on the device used. Please ensure you’re on the latest version of Sierra before installing the softphone. If you can’t find the answer you are looking for here, or would like to log a ticket with Solgari Support Team, please go to our Zendesk Support Site.